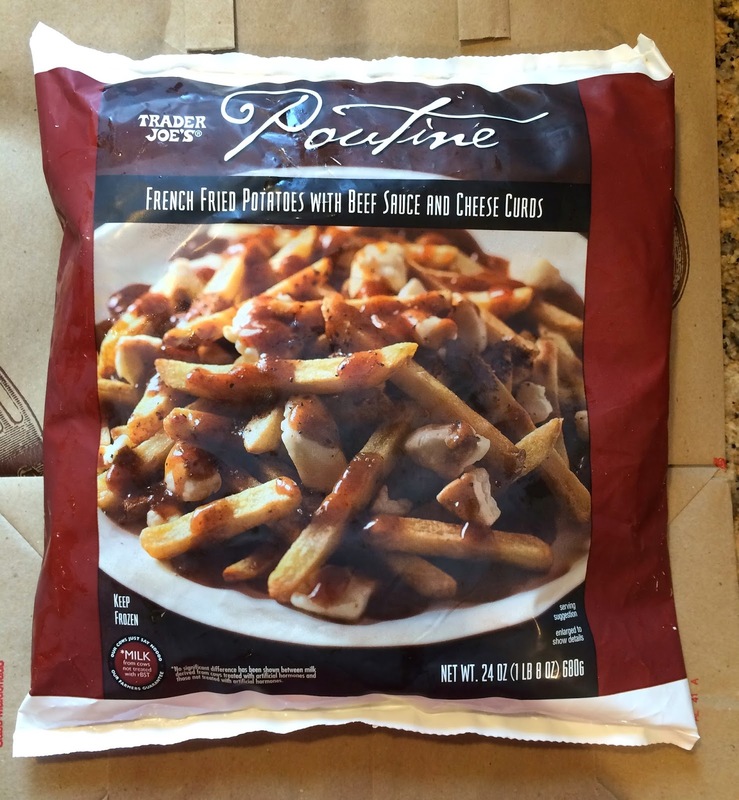 A friend of mine said Trader Joe's sells frozen poutine and I've been waiting to try it. On July 4th, I finally got to try it after a couple of months hearing that information. Trader Joe's is a grocery store chain, but it actually started as a convenience store chain called "Pronto Market" in 1958 by Joe Coulombe. The first store named "Trader Joe's" was opened in 1967 in Pasadena, California, and currently there're 418 store as of May 16, 2014, and its main area is Southern California. A list of poutines I've reviewed is below. 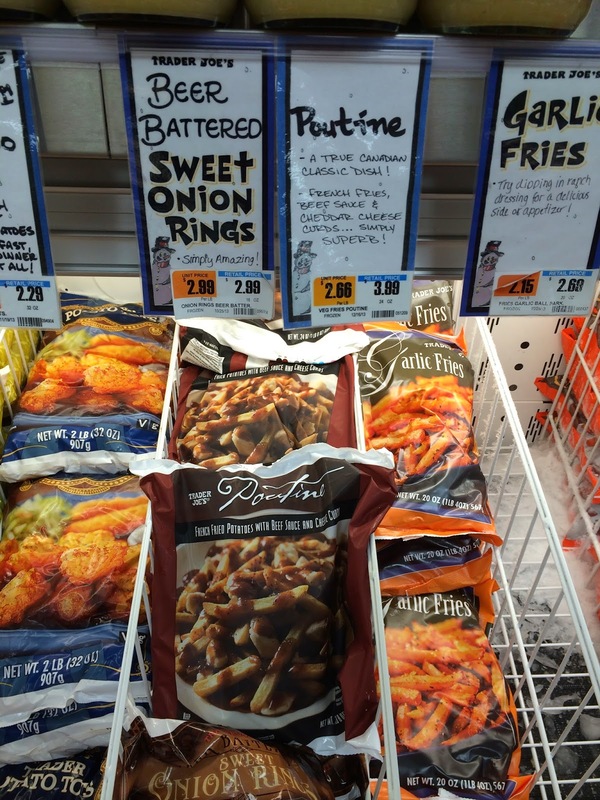 We went to one in Stamford, CT, and they surely had the frozen bag. But they already made mistake to explain what poutine is. 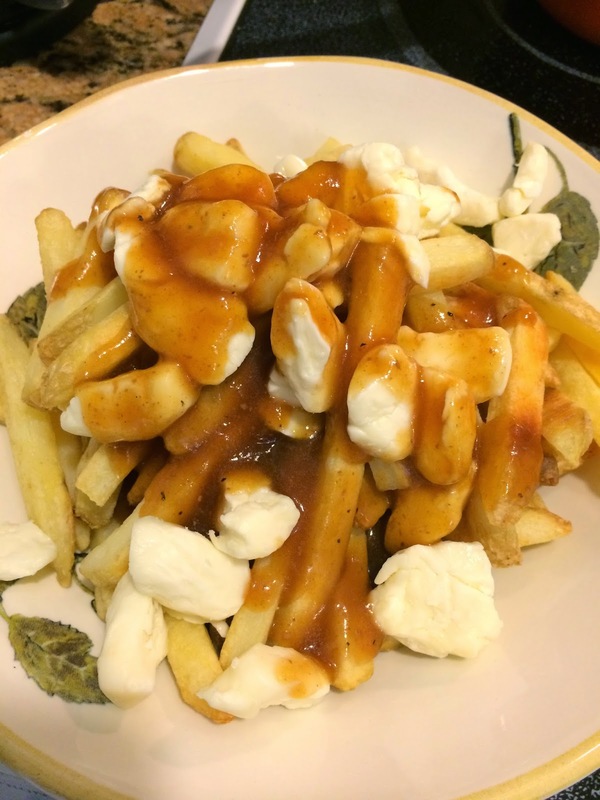 - A true Canadian classic dish! 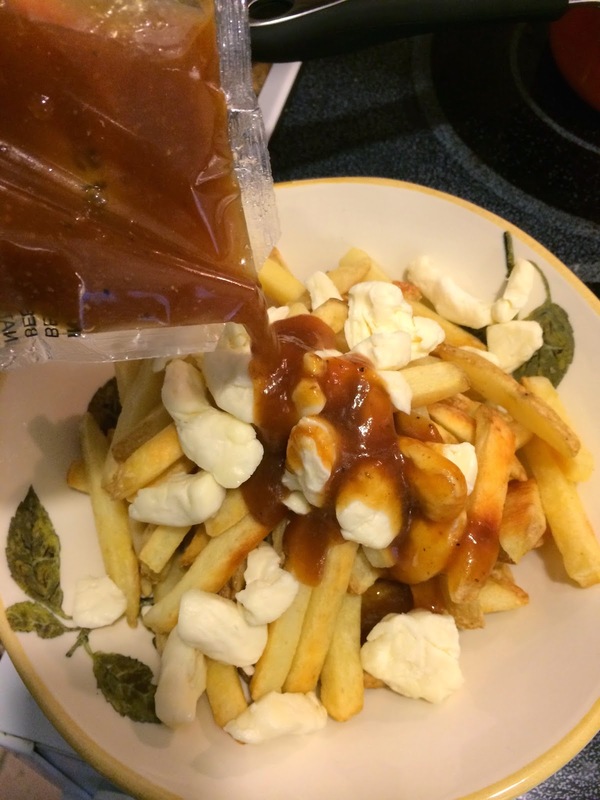 - French fries, beef sauce & cheddar cheese curds... simply superb!" 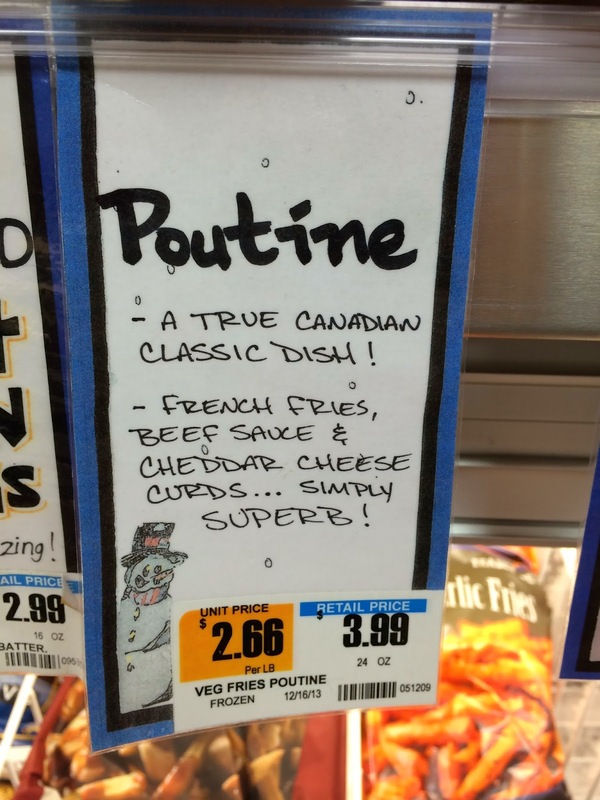 It's not "beef sauce" but "GRAVY SAUCE" and it made me wonder if this poutine would be any good. But we bought it anyway to try it. Even on the back, it says "beef sauce." In the bag, there're fries and two pouches of sauce and cheese curds. 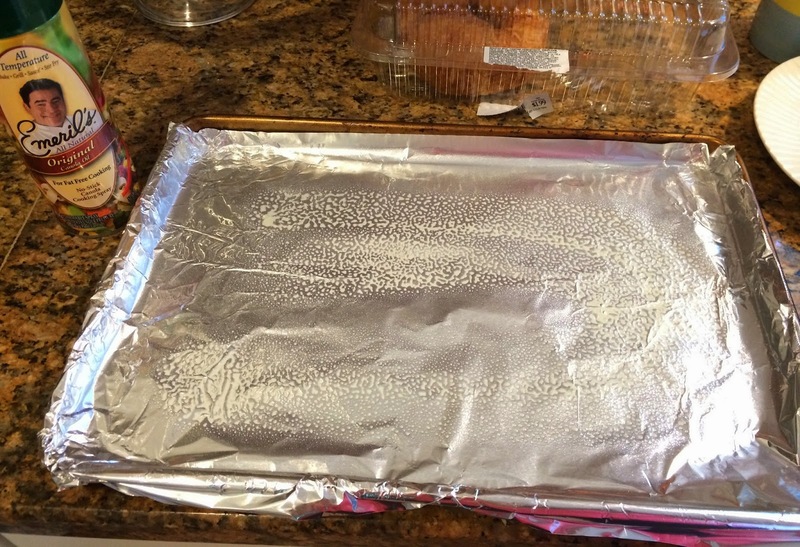 Following the direction, I preheated the oven on 425 F.
I put frozen potatoes on an oven sheet with cooking oil spray. 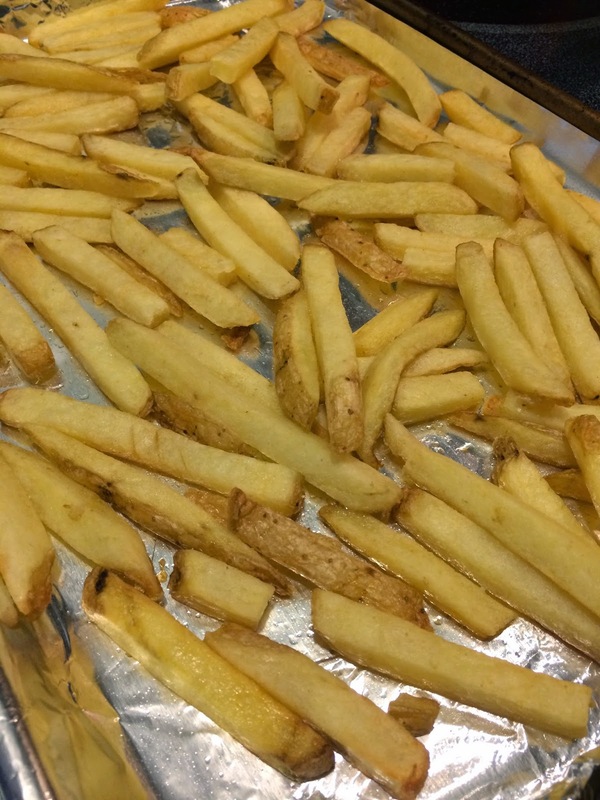 Cooked fries for 25 minutes and we didn't turn them at all, but they're cooked fine. 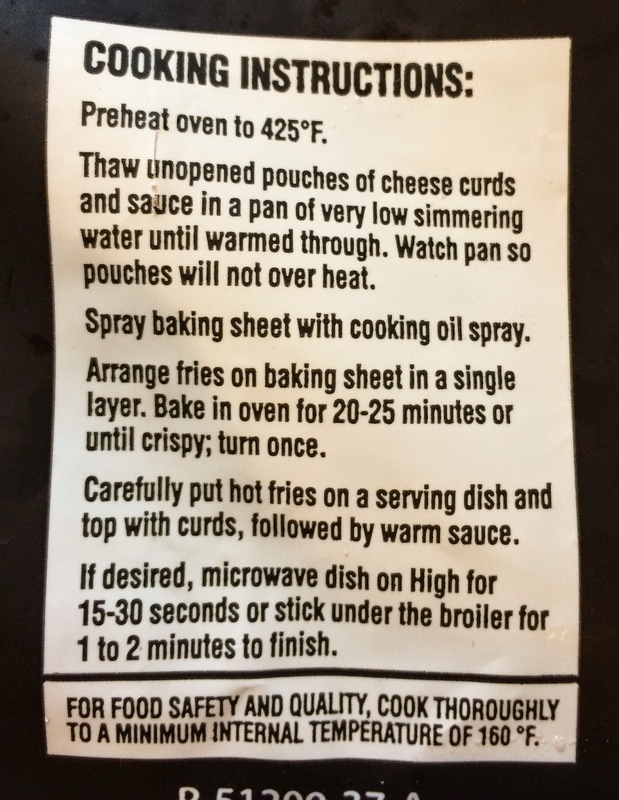 While cooking the fries, we defrosted a bag of beef sauce on low simmering temperature. 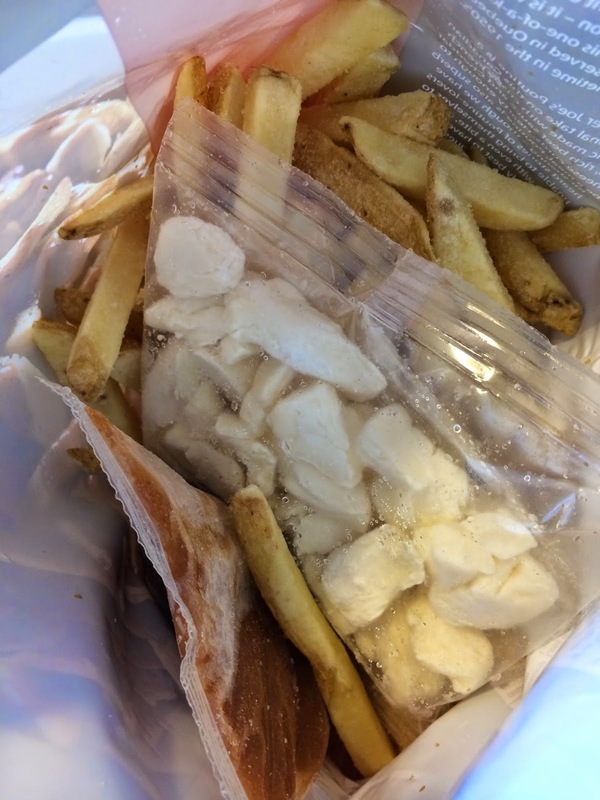 To maintain the squeakiness of cheese curds, we only defrosted the bag of cheese curds for 5 minutes. Even though they're still partially frozen, hot fries and sauce heat them up great. To lose squeakiness was something we wanted to avoid the most, so we're carefully paying attention to the cheese curds. 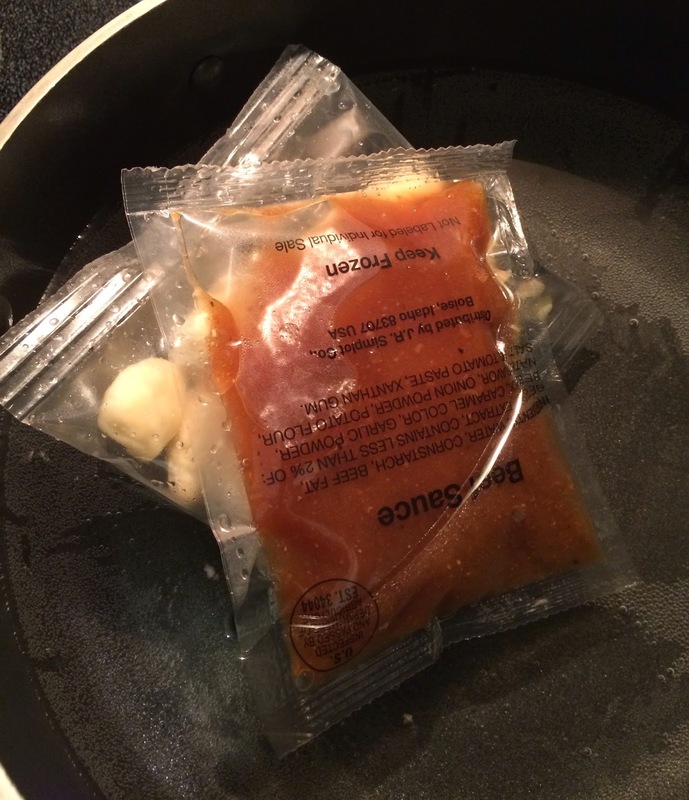 The bag of cheese curds tended to float around, so I put the bag of sauce to make it stay sunk. Time to decorate the bowl. First, a load of fries in a deep bowl. 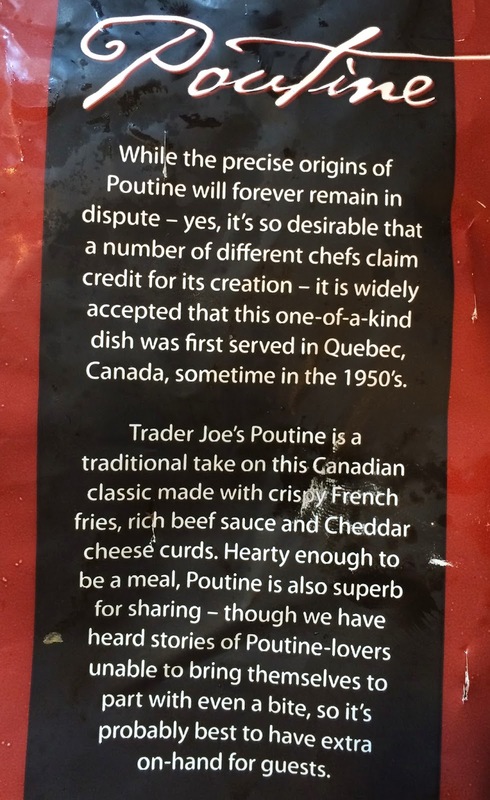 This is the Trader Joe's poutine. It looked similar to real poutine but with the black pepper sauce which smelled like steak sauce, it's not genuine. 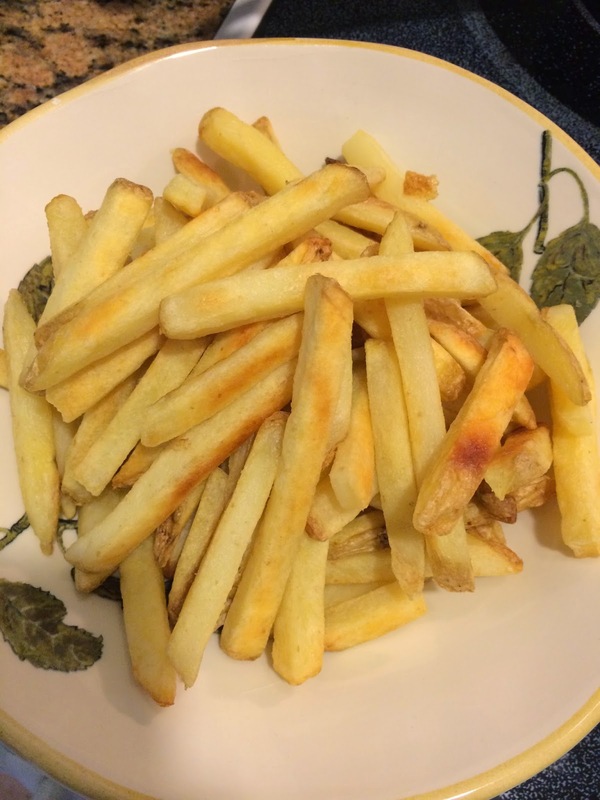 Fries; they're perfectly cooked and outside was crispy. 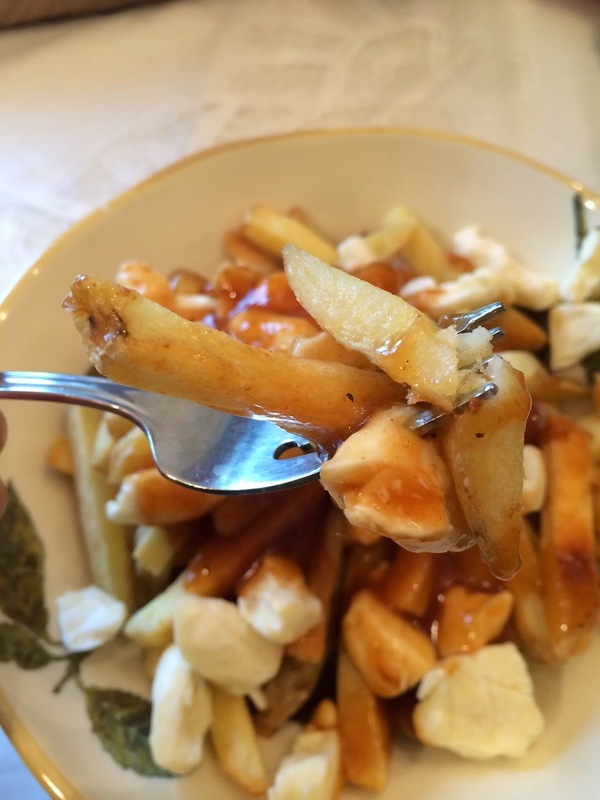 As it's pre-fried but baked to serve, I felt it's a little bit less greasy than authentic poutine. 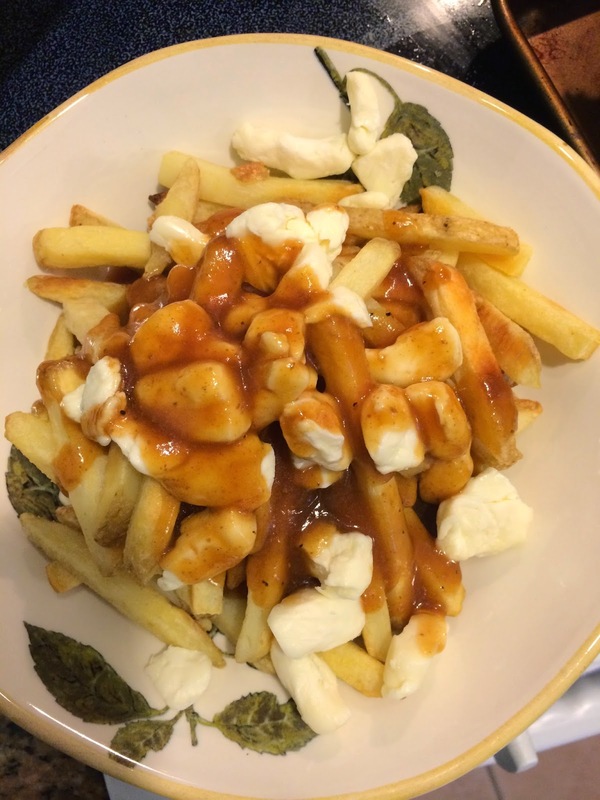 However, the oily fries are one of the characteristic aspect of poutine (I think) so having "healthy" fries were a bit awkward. 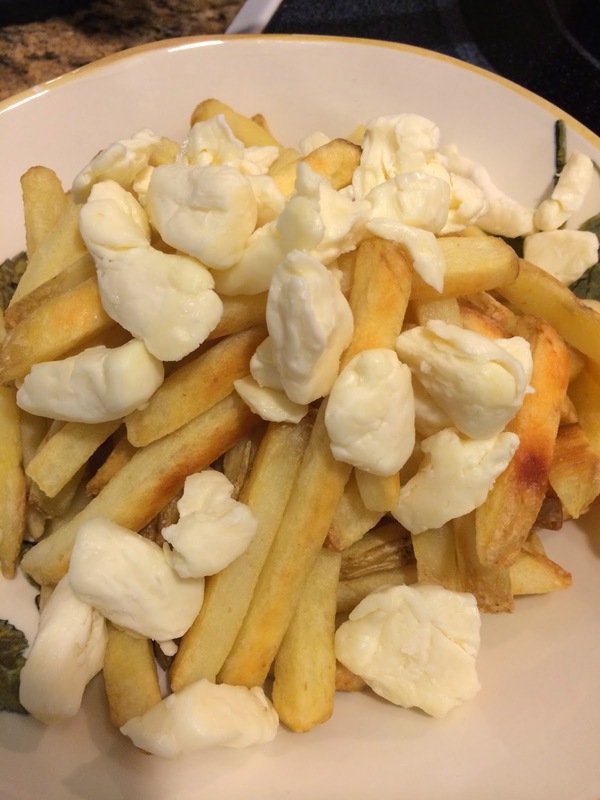 Cheese curds; surprisingly squeaky like fresh curds. We couldn't believe they're once frozen and became chewy again. Sauce; as it smelled, it tasted like steak sauce. It's definitely not gravy sauce but "beef sauce" as written. It's sweet and smoky with tons of cracked black pepper. The bag was 3.99 US dollars (after tax), so the deal wasn't bad. If I buy this again, I'd use a pouch of real gravy sauce and not the one attached ever. 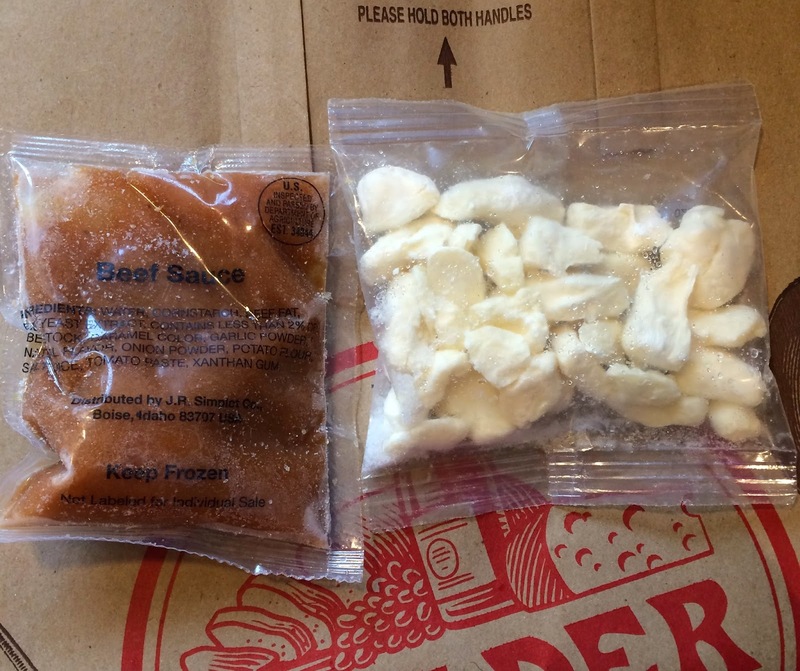 Another review of Trader Joe's.